In January 2017, the Russian Federal State Statistics service Rosstat recorded first growth of real income since 2014. This revives our hope that the economy starts to recover from the economic slowdown of the previous years and the upward trend may persist in the long-term period. Customs statistics data confirm: import of main nuts and dried fruits to Russia stopped decreasing and started to gather pace. In 2016, the peanuts import volume to the Russian market hit all-time highs on record: 114 ths. tons, which is 11% more than in 2015. Peanuts, due to low price, covered for more costly nuts, being at the same time perfect ingredient for a vast assortment of finished products from confectionery to snacks, dairy and bakery products. Brazil increased its share in the Russian market dramatically to 38 ths tons, possessing 33% of the total market. Argentina maintains its leadership in the Russian peanuts market, but the last year crop troubles have slightly dented its influence, shrinking its share to 52% and 59.6 ths. tons of peanuts during the year. Peanuts consumption per capita is nearing 0,9 kg per year, which is the highest consumption rate in countries, where the peanuts are not used for peanut oil production – European countries and the USA. Sesame seeds show the most stability year on year. India holds the leading role among all exporting countries, total share of Indian import to Russia comprised 95% and 10,8 ths. tons. The overall import rose by 13%. Sesame seeds consumption is strengthening after crisis years and the imported volume is completely absorbed by the Russian market. Cashew nuts import was virtually the same, with a slight decline of 3,5% to 4,16 ths. tons. Vietnam stayed the dominant supplier of cashew nuts to Russia, and only the new factory, which used raw materials from Guinea, obtained the second position with the insignificant share of 3,6% and 150 tons of import. The year was noted for a significant shortage of raw cashew nuts and lack of offers. Should raw nuts become more procurable, the offer and consumption balance can improve in general. Walnut conjuncture is hard to analyze. Since the import ban was imposed on Ukrainian walnuts, the official import fell almost by 10 times to less than 1 thd. tons per year. At the same time there is a wide choice of walnuts in greengroceries and on markets, despite the import volume figures, which are running down steadily. As of the end of 2016, only 578 tons were imported versus 720 tons in 2015. Almost all exporting countries have gained economic heft in the Russian market, with India and Uzbekistan taking the lead: in 2016, India increased its export by 14 times to 5 ths. tons and Uzbekistan brought to Russia 872 tons versus 334 tons in 2015. We witnessed failures as well: exporters from Afghan surrendered leadership to Iran with only 5 ths. tons in 2016 vs. 8 ths. in 2015. On the contrary, the export from Iran to Russia doubled to 11,9 ths. tons. 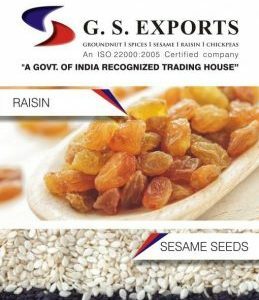 Raisins import rose by 40% in general and totaled 29,543 ths. tons. Relations between Russia and Turkey soured in May 2016, and that resulted in embargo on Turkish products and progressive decrease of dried apricots import month-over-month in the third and fourth quarter. Turkey has lost 18% of Russian import, resulting in 4,5 ths. tons in 2016. Still Turkey was able to keep the leadership with 90% share in the Russian dried apricots import. The remaining 10% are split between Tajikistan – 348 tons versus 488 tons in the previous year, China – 305 tons versus 179 tons YoY and Uzbekistan, which increased its import volumes from 158 tons to 191 tons. 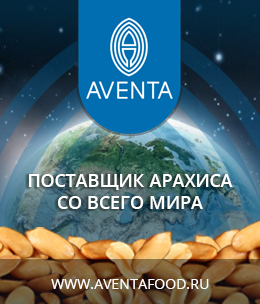 Almonds crisis hit Russia, when the USA with their 90% share in the Russian almonds import left the market at the end of 2014. At the beginning of 2015 the vacant niche was carved out by Chile and the reselling countries – Turkey, United Arab Emirates. In 2015, Chilean exporters took the lead, but in 2016 supplies from the Southern America decreased by 44% to 1 thousand ton. China gained the palm of victory – import hiked by 1,5 times versus the previous year to 1,28 ths. tons. The overall import volume in 2016 totaled 3,16 ths. tons, which is by 24% less than in 2015 and by 74% less than in 2014. In 2014, the USA and Iran dominated on the Russian pistachio market, in 2015 only Iran ruled, in 2016 the dominant suppliers were the same, but the volumes changed. Import of Iranian pistachio decreased by 20% to 1,655 ths. tons. The overall import of pistachio fell from 2,196 in 2015 to 1,699 tons. Traditionally the key players on the Russian hazelnut market are Turkey and Azerbaidjan. Starting from 2015 Georgia started strengthening its positions in Russia and in 2016 it was ranked the second in hazelnut import volumes to Russia. Georgian import amounted to 1,739 ths. tons in 2016, while it totaled 1,376 ths. tons in 2015 and 456 tons in 2013. Azerbaidjan enjoyed a persistent superiority with 5,085 ths. tons and plus 50% in 2016. Turkey amid sanctions lost half of import volume – 2,438 ths. tons in 2015 and 1,131 ths. tons in 2016. The overall volume of hazelnut import to Russia has increased from 7,374 ths. tons in the previous year to 7,979 ths. tons. In 2016, Russian prunes market was hectic – one half of the year import volumes were bigger than in the previous year and the second – less. Generally the import volumes decreased by 5,24% to 12,465 ths. tons in 2016. There are traditionally four main exporters – Chile, Argentina, Serbia and Moldova. Import of prunes from South America plunged by 30% to 7,97 ths. tons in 2016. Import of European prunes rose thanks to Serbia, which doubled its supplies to Russia to 3,534 ths. tons and ended second, giving way only to Argentina. There were no significant developments in dried fruits market in 2016, the import rose by 4,55% to 12,279 ths. tons. Supplies from Thailand – traditional market leader – increased by 30% from 5,004 ths. tons to 6,448 ths. tons in 2016.